Just outside Poznan, in the heart of Greater Poland and by the Delicjusz Hotel, we have opened a new and refined place of an international prestige. We have combined our experience of many years and cooking passion with a new talent in the branch of Mediterranean cuisine. We encourage you to try the tastes offered by Dello Ristorante. Our staff will take care of you in a hospitable atmosphere. In the restaurant’s elegant and modest interior, we will take you on a culinary journey to experience Polish and international flavours. Sweet and sour, salty, hot or buttery? Which flavour would you like to try today? We will take care of every palate. The rich menu of Dello Ristorante offers a variety of dishes prepared with local and exotic ingredients combined in a harmonious, but surprising way. In Dello Ristorante, you can also try original dishes invented by our Chef. Upon your request, he will prepare dishes that are not included in the menu for you, adjusting them to you individual culinary and health preferences. Lunches and dinners in Dello Ristorante are like meetings with flavours from all over the world. We have created a place where we select only fresh products and the best spices, herbs and olives to make our dishes. The menu is composed of seasonal dishes prepared with attention to detail, which draw inspiration from Mediterranean cuisine. We have also ensured that there is a choice of traditional Polish dishes. In Dello Ristorante, you will discover familiar flavours once again. We have added a sprinkle of creativity to our recipes. Gourmands can choose aromatic dishes from the Indian cuisine. Cooking live for our guests gives us joy, and makes our dishes taste even better. This is how you can spend your time with your family, friends and contractors. Live cooking is a suggestion for a Friday night, a recipe for successful engagement or a unique business dinner. In Dello Ristorante Chef Roop Lal Balu will prepare dishes live, especially for you. If you are interested to book a place at the live cooking event, please contact the Restaurant earlier. Smart. Atmospheric. 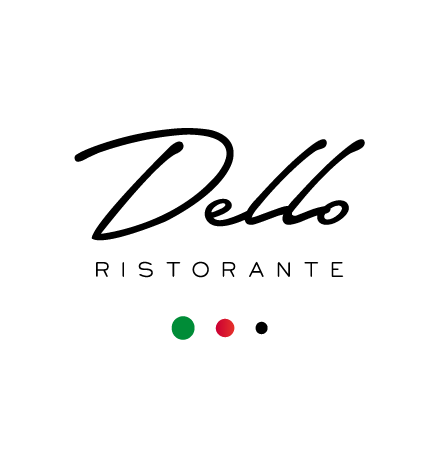 Dello Ristorante is a perfect place for a business dinner. Lavish and modern dishes and the best wines will emphasise how important the situation is, but also get you in a good mood and encourage talking. We will make sure that your guests feel comfortable and unique here. We will be pleased to plan a business dinner for you and create an exquisite evening menu. Please, contact the Restaurant earlier in order to make a booking.